The very moment we heard that an earthquake had hit Nepal, it was all systems go at Work the World HQ. Our crisis response team immediately set to work to ensure the safety of all our students on the ground. Our locally based Programme Managers performed outstandingly both during and after the disaster. The team here in the UK worked tirelessly to get everyone out of the country. Despite gridlocked air travel the team achieved in four days. After the earthquake we decided to reassess the situation. The Foreign Commonwealth Office (FCO) advised that all but essential travel to Nepal was to be postposed. As we adhere to their guidelines as a rule, the only sensible decision we could have taken was to pause our operations in Nepal until things were safe for our students. And so we did. It has been 12 weeks since the first of two earthquakes struck, and today we have some exciting news to share. The main and most compelling reason we’re reopening our programmes in Nepal is because the government have declared the area’s we operate in to be safe. In fact both our Pokhara and Kathmandu bases are in areas well within the government approved safety zones. Of course, the Department of State is still keeping their eye on the situation, but they now consider it safe to travel for work or leisure. The city of Pokhara, where one of our bases is located was relatively unaffected. Kathmandu, where the quake was much stronger, is rapidly returning to normal. There are still some warnings in place for the more remote areas of Nepal, which is allowing for relief efforts to take place. We’ve carried out rigorous structural and safety check on both of our houses and they’ve both passed with flying colours. The way our teams on the ground took control during this challenging situation made us all incredibly proud. We make sure our programmes are fair and contribute to our host countries by locally recruiting all of our in-country staff. This meant that some of our teams’ friends and relatives were affected by the quake. But true to their proven characters our staff stayed with our students until everyone was safely on a plane home. Now they’re excited to welcome new students back to the country they’re proud to call home. 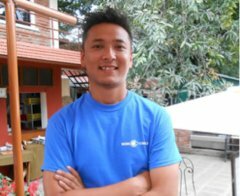 Sunil was born in Pokhara and went to school in Kathmandu, so he knows both cities well. He is keen to welcome students back to a program he has worked hard to help build. Sean lives ten minutes from the Work the World house and so is always available to help Work the World students night or day. He also wants to contribute to the prosperity and development of his country in every way possible. It might not be immediately obvious, but heading out to a post-quake Nepal could present you with a unique perspective of the country. Living in the community will let you interact with local people and listen to unique personal stories about their earthquake experiences. You may also find yourself working in hospitals where patients are still recovering from injuries sustained during the event. Having direct communication with and even supervision from specialists who were involved in the immediate relief effort may also prove to be an enlightening experience. You’ve heard what the media have to say. But to get a real sense of what happened and how it affected people, you’ll have to travel to the heart of Nepal and talk to real people. Remember that when you travel to Nepal you’ll be acting as a guest, so always remain sensitive to every situation. We’ve had ten years of experience sending over 5000 students to countries all over the world. We’re extremely confident in our ability to take great care of you while you’re away with us. 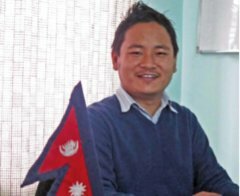 “…absolutely delighted that we are reopening our programmes in Pokhara and Kathmandu. 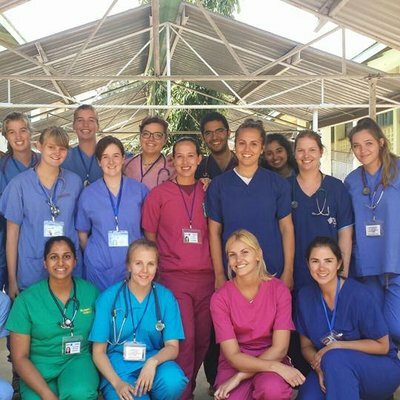 It has been a long time coming, but what a relief it is to once again be able to host healthcare students in one of the most fascinating countries in the world. I remain confident that Work the World has proven throughout this unprecedented situation that we put safety first and foremost in everything we do. We are able to offer support structures to our students, their families, and universities that are second to none. I'm extremely proud of our staff teams, both on the ground in Nepal and the UK Head Office, for the dedication and professionalism shown throughout this difficult time. I would also like to give thanks to our partner hospitals in both Kathmandu and Pokhara for their patience. We’ve proved time and again that, even in situations as difficult as the recent crisis in Nepal, we are capable of handling anything. 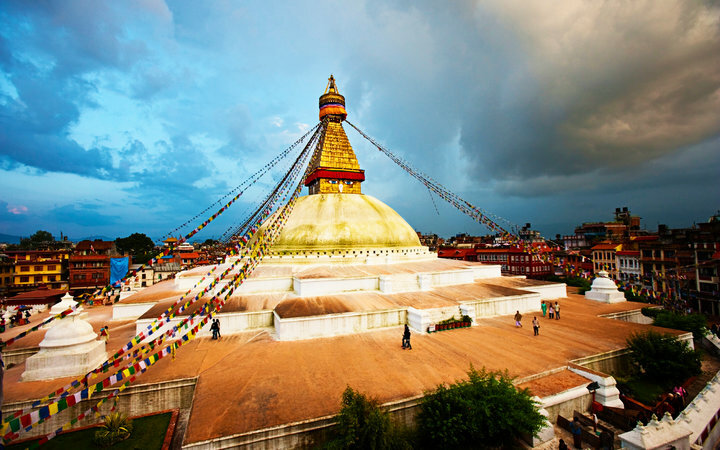 So if you want to head out to Nepal either for an elective, or simply to get experience working in the country’s fascinating healthcare institutions, get in touch today.